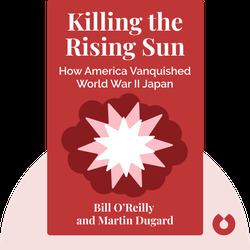 Killing the Rising Sun (2016) tells the story of the Pacific War, which took place between 1941 and 1945, and its main belligerents, the United States and Japan. 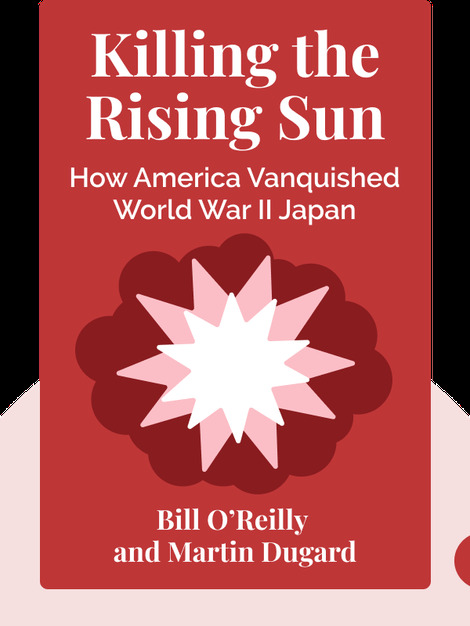 From the attack on Pearl Harbor to bloody invasions of Japan to the development of the world’s first atomic bomb, the book portrays the brutality of World War II from a US perspective, and describes how the war was eventually won. Bill O’Reilly is a journalist and television personality best known for his conservative political commentary show, The O’Reilly Factor, broadcast on Fox News. He is also the author of numerous books, including Killing Kennedy, Killing Reagan and Killing Jesus. Martin Dugard is an American author and journalist. His books include The Last Voyage of Columbus, Killing Kennedy, Killing Reagan and Killing Jesus.